We would like to offer our huge thanks to Martin and Sheila Stevens, local residents who are keen to promote Science in Watchet, who have funded six microscopes for the school to use in class. The school children used microscopes when we were able to loan them but did not have any at school to continue with projects. Luckily for us all at Knights Templar School, Martin and Sheila Stevens suggested they could help and have funded the microscopes. We are hoping that we can increase the amount of microscopes we have over time so that a class of children can use them at the same time. 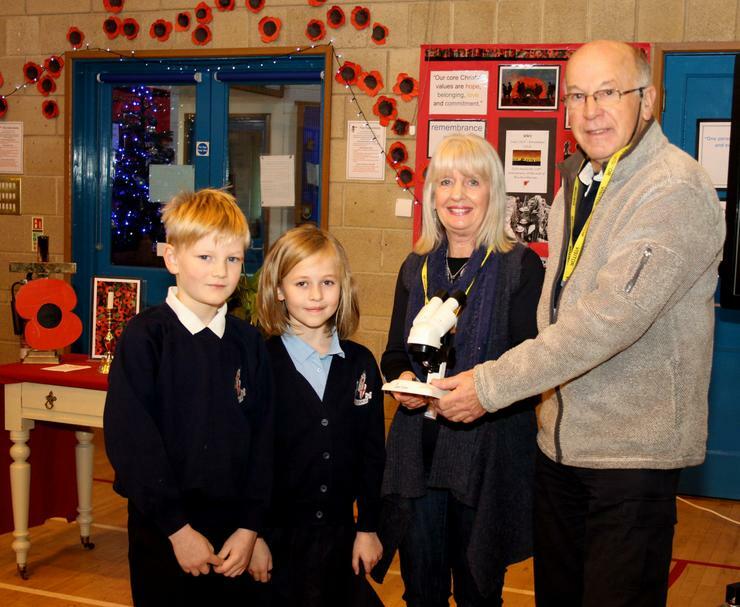 The KTSCA (Knights Templar School and Community Association) will be purchasing a trophy which Mr & Mrs Stevens will be presenting to a chosen child in the school each term, who has shown enthusiasm and progression in Science. We want to thank Mr & Mrs Stevens and the KTSCA for helping to make scientists of the future.